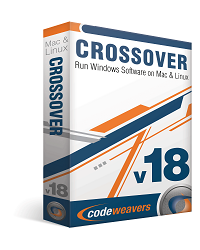 I was lucky enough to get my hands on a copy of CodeWeavers’ flagship product Crossover Mac this week. 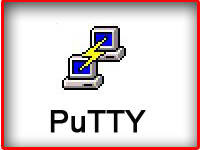 The software is designed to allow applications from other platforms, primarily Windows, to run seamlessly on Mac OS X without the need for emulators or dual booting the computer which requires a restart and wasted hard disk space. To say that the software achieves this is an understatement to say the least. During the testing of the program, I found all aspects of it to be pretty much flawless. The first element of the program that needed testing, was naturally the installation and setup. As with the majority of OS X software, installation was simply a process of drag and drop into the applications folder. Registering the software was a breeze too. I simply had to register on the CodeWeavers website and then register the software using the same details. So once your all set up and registered, you may wonder where the application has gone. All that is immediately visible is the icon placed in the selected folder, or on the dock whilst open. This is due to the discreet nature of the software. It pretty much stays out of your way, not even running until called upon. However, when you enter any optical medium such as a CD or DVD containing installation files meant for Windows, the application springs into life and loads the files in an extremely similar manner to the auto-boot process on Windows. There is an almost endless list of software that is compatible with this software. 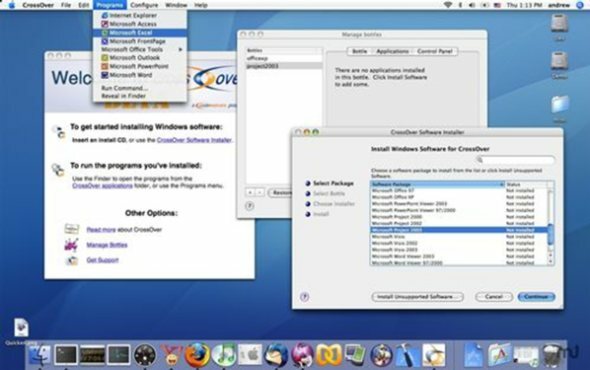 The majority of regularly used programs will most likely be compatible with Crossover Mac. This includes anything from Microsoft Office to Call of Duty. For my initial tests of the software I decided to install Microsoft Office as I decided it would be a useful addition to my Mac as I haven’t developed a great taste for Open Office and haven’t yet bought a copy of iWork since recently purchasing an Apple Mac Mini. The first stage of installation was fairly lengthy. This was completely due to the fact that it was the first install I had carried out and therefore the system needed to install required fonts and such. After the first installation, any further software I attempted to install was carried off without a hitch. To be honest, this isn’t a major problem anyway. Proceeding with the installation, I was confronted with the usual interface I had found with Windows. The installation process from this point onwards was as quick as any Windows installation. The trend of native speeds continued throughout use of the application after testing. The program boots with the natural Windows interface. It is not altered to fit the Mac themes which could be taken in either a positive or negative way. 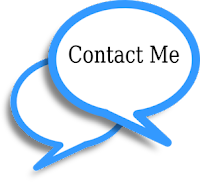 Positive due to the fact that many applications wouldn’t be suited to the alterations and may become muddled or difficult to navigate. Negative due to my opinion that the general Mac interface is more attractive than the Windows equivalent. Running and using the program was as simple as ever, for the most part as fast as running on Windows. I was extremely impressed with the cleanliness of the switch over considering the application was never intended to be used on this OS. In my opinion, the Mac version of Microsoft Office was never up to scratch, so to use the full Windows version was a pleasant change. After successfully installing and running Microsoft Office 2007, I moved on to install Call of Duty 2. I dare not try the latest version of the games, not because they are incompatible, but because I have the basic Mac Mini so running the games may not be smooth enough to carry out a fair test of the Crossover Mac software. Suffice it to say, the installation and running of the game was nigh on perfect and I was able to run the game on high settings without any noticeable lag. For the gamers amongst us who do have a Mac, this software also supports platforms such as Steam. Overall I have found many a use for this excellent software and is a real alternative to running Parallels Desktop 5 that means you don’t need to boot to a separate operating system. I also have an old Linux machine and am tempted to use the Linux alternative of this software to run the same programs. The software comes in various packages. One for general software such as Office, and one for games. However, the Crossover Mac Pro option possesses both, but carries an extra cost.